AMSA BCP™ 1000 series is the classic DTEA II™ chemistry that has been used for over 20 years to clean up cooling water systems and maintain clean surfaces in those systems! BCP™ 1015 is the flagship DTEA II™ that penetrates, disperses and cleans organic deposits in industrial process cooling systems and commercial and residential building comfort cooling systems. It is especially useful in systems that re-use wastewater. BCP™ 1015 is used to clean up fouled systems. When used as a part of a regular maintenance dosing program in conjunction with other industrial water treatment chemicals, surfaces are kept clean. For more see BCP 1015 Application Guide . 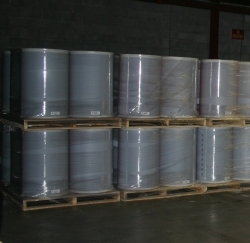 . .
BCP 1015 is sold in 275 gallon totes, 55, 30, and 15 gallon drums, & 5 gallon pails. BCP 1030 and BCP 1100 are concentrated formulas containing DTEA II. BCP 1015 is the classic DTEA II-based biofilm control program chemistry used by water treatment professionals since 1999. This standard formulation is compatible with most common water treatment chemicals and biocides. Combining BCP 1015, or other BCP™ products, with the action of oxidizing and non-oxidizing biocides delivers an effective Biofilm Control Program. BCP 1030 is a special formulation designed for large systems and overseas use. Contact us for more details. BCP 1100 is sold as a manufacturing use product for formulation. Contact us for more details. 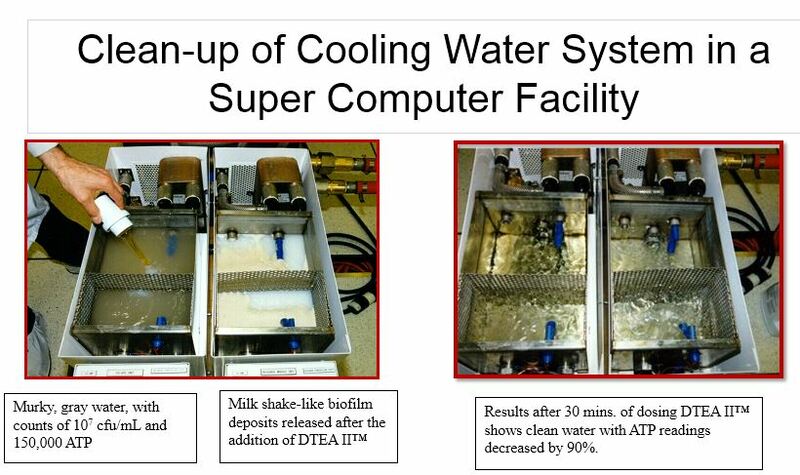 BCP™ 1015 (DTEA II™) brings many benefits to cooling water treatment programs. AMSA customers have used BCP™ 1015 to clean fouled systems and maintain clean surfaces in those systems for over 20 years. AMSA cooling tower chemicals and process water chemicals have been a trusted solution to ‘Clean it Up & Keep it Clean’ for many water treatment service companies. Below is one example of a clean-up application using BCP 1015 (DTEA II) in a super computer data center.